Most days in the week our horses spend grazing our lush Pastures of our farm, 30 acres of ex dairy land about 45 minutes south of Perth. Unlike a car, horses need daily care and don’t turn off the moment you get back from a service. They continue to need day to day management and apart from feeding (they eat before we do), watering (24/7 fresh water trough) and rugging, (the ‘coat’ we put on to ward off the flies in the summer and the cold in the winter) our horses also need regular pedicures from our Farrier who will place on new shoes every 6-8 weeks. But then there are also lovely massages from a bodyworker. And they love being taken to the beach for a splash in summer. There is also a huge amount of preparation involved before every day we are working. 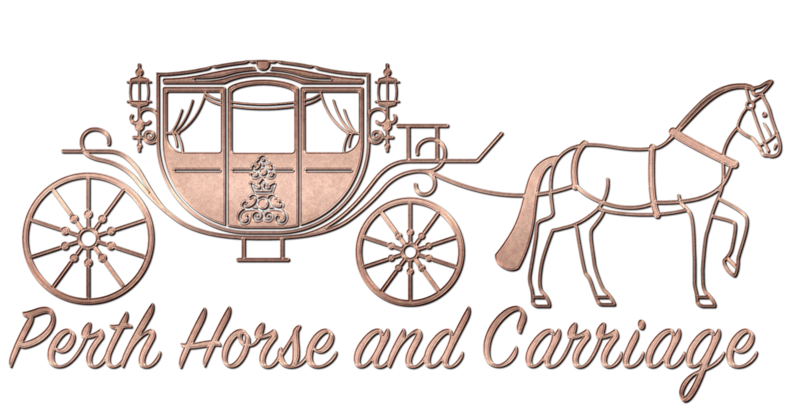 It all starts the day before with preparing our transport vehicles, harness and carriage. A nice warm bath is in order for these two grotty horses. 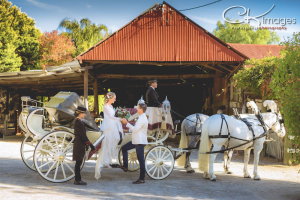 From home to our destination, it’s quite the logistical task to transport our unique horse and carriage service and we employ the services of a specialised truck and horse float of which the entire length combined is that of a semi trailer. Upon arrival at our destination at a safe and large flat area it takes us further 90 minutes to put everything together. And then finally we are ready to present to our clients with the finished product. The only thing left to do once we have given our service is to have a well earned meal, pack up and get back to base for it to start all over again for the next job. Please feel free to ask us any questions in regards to our horses, because we can chat about them all day!